The TCSSP National Curriculum Classroom-In-A-Box is an e-learning strategy trial project of the Star Mountains Institute of Technology. It is being implemented at the participating schools of the TCSSP starting with Migalsim Elementary School. CIAB is deigned to trial the embedding of modern technology into the basic education system of Western Province. It delivers e-learning resources that support the national curriculum starting with Elementary Prep. 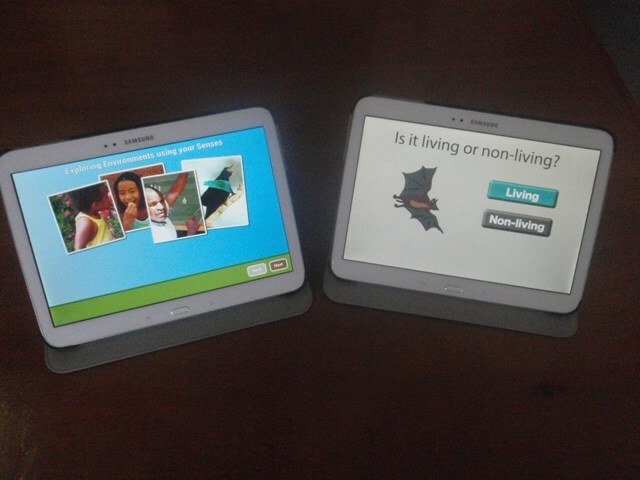 The resources are formatted for use with low-cost tablet computers using the Android operating system. 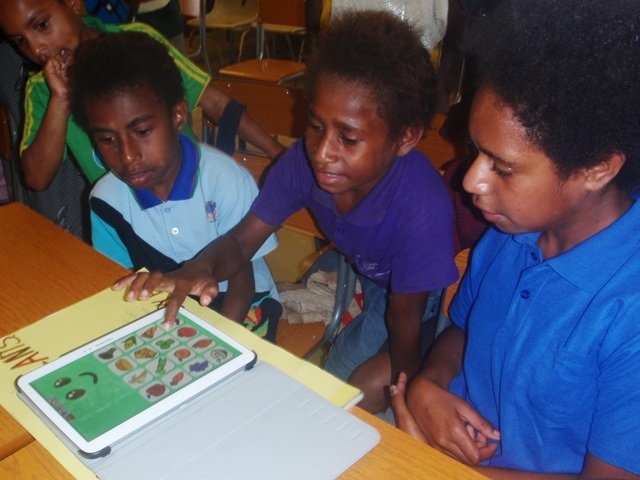 SMIT has engaged the services of Australian e-learning experts Becker Consulting, who are initially developing resource packs for all 12 sub-strands of the Culture and Community curriculum strand at the EP level. The draft resources will be piloted and evaluated at Migalsim over a three-day period in November 2013. The resource packs are designed to fit in with current teaching methods and programming, and to complement existing resources such as printed materials. 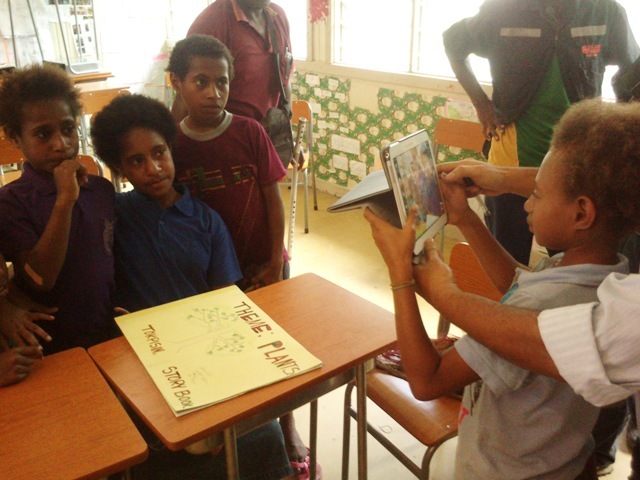 For instance, the resource packs include an introductory presentation that simulates the Big Book resources that are created and used in PNG elementary schools. In addition, a suite of learning tools (apps) will be provided for learning activities planned by the teacher and for free learning by students, and quiz/assessment apps that report student performance back to the teacher, who can control the presentation via a “master tablet”. CIAB addresses the lack of quality teaching and learning resources in such schools, one of the main reasons why education is performing poorly in PNG’s Western Province.